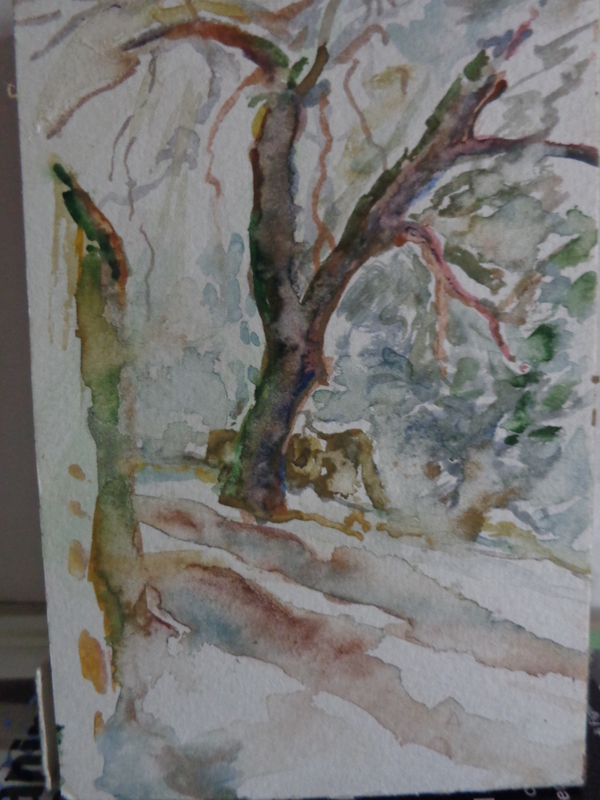 This entry was posted in Landscape, Paintings, Personal and tagged au plein air, chianti, dirt road, Italy, landscape, oak, rain, snow, tuscany, watercolor, winter by susanchalkley. Bookmark the permalink. I know this is August but the winter was long and rainy here in Italy..not until the end of May did it stop…I was unable to do many landscapes that were expected of me..I became very down and anxious but then every once in a while the sun would come out for a day and I could start something..this one I could finish! There are some others but this one sums it up…anyway, there is the header started before the rains and finished from memory and knowledge of the site..non pun intended.